If you ask a journalist why he or she chooses to engage in this craft, you’re bound to find 101 reasons. But the newest community journalists trained by the Oakland Voices program were nearly univocal about their purpose. The nine- month internship enabled them to find their own voices to tell stories about the communities in which they are engaged. The nine, newly-minted journalists came to the program from a variety of backgrounds. Mustafa Solomon, a photographer and a volunteer housing activist with Causa Justa, was encouraged by members of that organization’s staff to apply for the program. 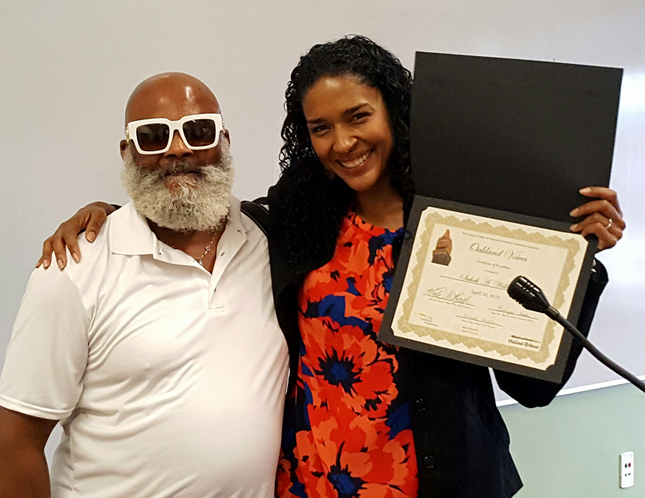 Saleem Gilmore, an education professor at the University of San Francisco and Bill Joyce, a retired special ed teacher, were urged on by friends who were graduates of the program. Sabah Williams, Angela Scott and Randy Filio were inspired by presentations at Laney College and the Intertribal Friendship House. Rosalinda Hernandez and Aqueila Lewis were notified by family members and friends who saw advertisements for the Oakland Voices training. All of this year’s graduates were thrilled beyond their original expectations about the training they received. “I would go through the training again if the opportunity arose!” Solomon said. His sentiments reflected the overwhelmingly positive comments of his classmates. 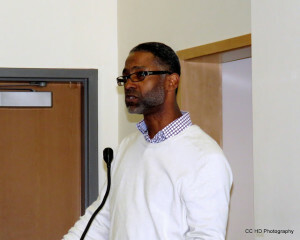 The articles they covered during their training reflected the often untold stories of people working beneath the radar in their communities to bring positive change to Oakland. There were stories of small, business people who sought to define their neighborhoods in the face of the ubiquitous flood of gentrifying forces that are washing over Oakland. They reported on reactions to President Obama’s executive order to reduce gun violence in communities across the United States, the heart-breaking tragedy of human trafficking and the controversy surrounding out-of-state efforts to make Oakland the site of overseas coal-exporting. Folio revealed the thriving punk rock music culture of downtown Oakland. Unlike previous classes, the class of 2015-2016 was also asked to organize two community forums on a pressing issue of concern. Needless to say one of the most explosive issues confronting Oaklanders is the current housing crisis. 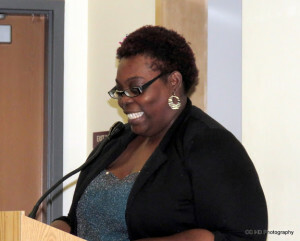 Held in the fall and spring at the 81st Avenue branch library, the forums brought voices and stories together to explore not only the problem but possible remedies. The second forum convened a diverse group of experts, including a non-profit housing developer, representatives from community action groups such as East Bay Alliance for a Sustainable Economy and one of the architects of the “A Roadmap Toward Equity: Housing Solutions for Oakland.” The panelists offered hope to what is often a dark and dreary narrative of displacements, evictions and the machinations of detached real estate speculators. They made it clear the city has the tools to accommodate its working-class and low-income residents. In addition to the journalistic training, the graduates discovered a new community of mutual support in each other. They began the program as strangers but left as friends. Solomon found solace in the group as he dealt with the death of his mother. Lewis discovered strength and support as she dealt with family displacement when her mother was forced to move to Stockton. 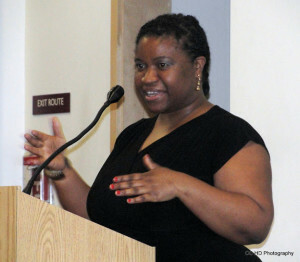 Williams echoed this sense of camaraderie when she said, “thanks for the friendship and support” she experienced during the program. 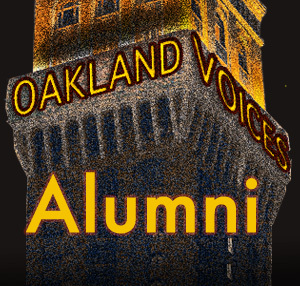 Oakland Voices is run in partnership with this newspaper and the Robert C. Maynard Institute for Journalism Education. 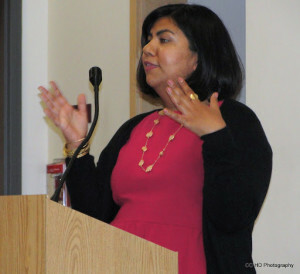 The program is funded by a grant from The California Endowment, a nonpartisan health care foundation. To read more of the correspondents’ work, visit www. เครดิตฟรี100ถอนได้ www.cosmobeachmarbella.com and follow us on Twitter @OaklandVoices. The program will resume in September and will begin recruiting the next class in July. Look for announcements about the application process. If you are interested, or know someone who is, please contact the program at oaklandvoices5@gmail.com. Tom Webb was born and raised in Santa Rosa, CA. Since 1980 I have pursued graduate studies at the University of San Francisco (Theology, 1982), Duquesne University (Formative Spirituality 1994) and Catholic Theological Union (Pastoral Studies 2003). I have spent nearly 20 years living and working in the San Francisco Bay area as a Catholic high school teacher, lay pastoral associate and non-profit administrator. Additionally I have been involved in faith-based justice and peace and reconciliation efforts, including serving on the national council of Pax Christi USA. After spending nearly 13 years outside the Bay Area, I have now returned and serve on the staff of the Oakland Catholic Worker. Thank you for a beautiful article Tom!!! You captured the spirit of the graduation so well. Congrats to all of my Oakland Voices team mates!!!! Excellent piece honoring an excellent program. The Maynard Institute honors Robert Maynard’s legacy with this model of community journalism. Onward!